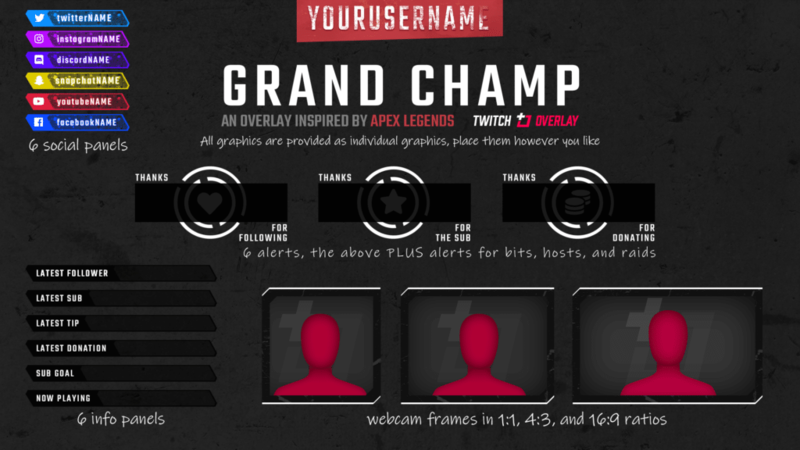 Grand Champ Deluxe is an Apex Legends Twitch Overlay inspired by the art style and UI of the game, using pops of color amongst raw, industrial elements – it’s both rough and vibrant in the right places. As always, please see the Download Contents panel for a complete run-down of every file included in your download. 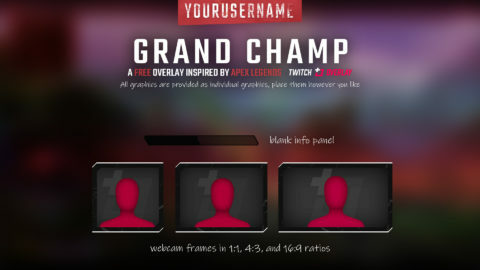 We'll add your stream name, and social username(s). Ideal for those without Photoshop knowledge and who want a professional, quality finish.